Well done, Mr. X! The pics looked awesome, and, more importantly, you've given me ideas for similar outfits I'd like to try in the future. Mr. X, your heels are higher, and your blouse is shorter than Taylor Swift's. Good job! Maybe I can now forgive her for adopting and promoting the ridiculousness of high-waisted shorts. I think that trend is largely over, thank goodness! One question though, if I may. with a blouse that short and leggings, how do you deal with modesty issues in the groin area, or do you just not care? That's sort of what prevents me from trying this sort of look. Love the new ankle boots! Thanks fir the kind words! If I can inspire at least one other person then I fell like I have done my job. One question though, if I may. 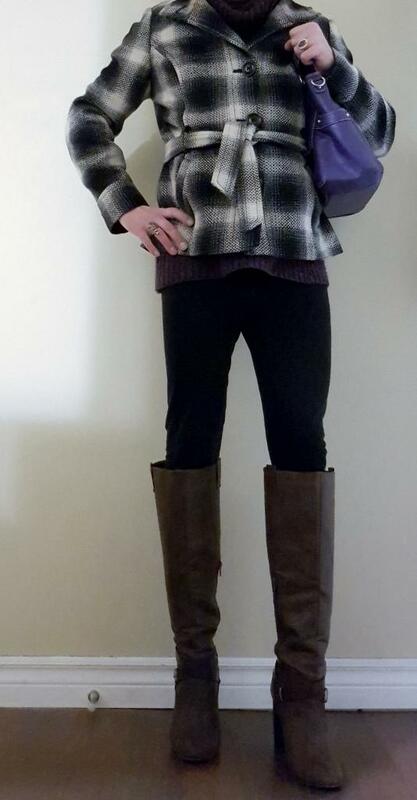 with a blouse that short and leggings, how do you deal with modesty issues in the groin area, or do you just not care? That's sort of what prevents me from trying this sort of look. I am usually pretty careful in that regard. Usually if my tops are shorter I wear a longer coat to cover. 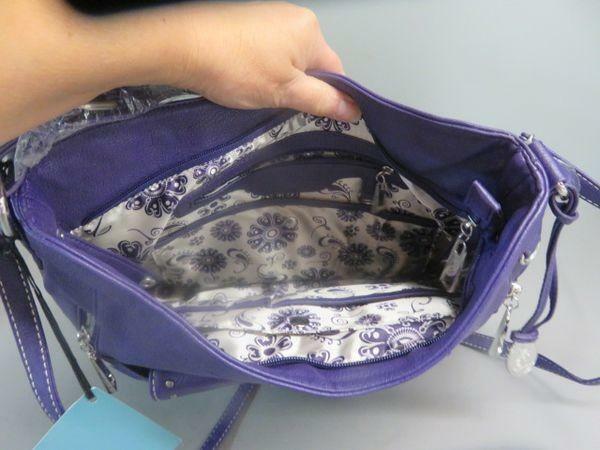 And depending on the bag you use if you do, that can be used for some coverage as well. I was wearing a coat that was longer here. I just took it off for the pics. Not me my friend. You might as well call this outfit broke Taylor. I can guarantee that my entire outfit costs WAY less than even one of the pieces in hers. And as much as I like heels, I figured out early on in my journey that I enjoyed putting together complete outfits just as much! It also helps immensely with your presentation when you're out and about. I find that heels look less out of place on a man if they are worn with other pieces that would be perceived to be worn with said heels. For instance heels with sweatpants would look out of place on anybody out and about let alone a man! Has anyone give you snubbing reactions of your outfit or just chuckle scanning your top, leggings, booties? Only because they view your wearing inferior clothes or shoes. Often think, reason some woman with means feel more confident wearing designer brands. Seems anyone chuckling at how we style ourselves, convincing us that high brand name item can reduce the fear factor of what negative people think. A young stylish woman I seen recently has a Givenchy hand bag others may be critical voicing they don’t like it, looks to old fashion appropriate for old grandmother. Yet the handbag wearing woman can shrug of naysayers thinking to herself they only wish to afford such luxury accessory. Or voice her disapproval of critical people’s handbag which maybe inferior in quality and price. Another example today seen female wearing her hot pink purse across her torso front. If it had no brand logo many would find it fitting for a little child. Yet the PRADA metal logo was front and centre. My initial reaction was to be slightly amused, as we closed paths I noticed the logo brand and suddenly lost my chuckled grin expression. Yet the woman wearing the purse could feel comfortable noticing me being critical initially, then I was put in my place afterwards once seeing the logo. From smiling amused grin to bulging eyes shocked frightened stare upon the purse logo. Sort of like a vampire seeing daylight. Often believe whenever I go out in public wearing feminine style they better be designer. If someone laughs mocking me I can look upon there style making a judgement showing my amused reaction. Thinking to myself yah I might of look weird in the style I wear for a male. Yet if the critics have any fashion sense knowing my brand style I wear, they have to be envious or very least smiling at my correct taste in clothes or shoes. Is it because we’re men wearing feminine clothes or colour choices made, style etc. It's sometimes how you wear it. I have gone to work in a Victoria's Secret Sweater, with a women's turtleneck, women's pants and my heels and look like an alpha male. And have both men and women compliment my outfit. Interesting take @MackyHeels I rarely get reactions to anything I wear these days. And when I do, it is almost always positive! And @Cali I find it is almost ALWAYS how you wear it. If you look like you should be wearing what you're wearing, regardless of what it is, then people will be more accepting to it. That is why I always do a complete outfit. It shows that I put time and effort into my presentation, and I'm not just doing it for shock value or something. A bum on the street wearing a pair of heels will get a lot of looks and stairs. A bum on the street wearing heels with a complete stylish outfit may get just as many looks and stairs, but mostly it will be for all the right reasons! I figured it was time to update my shoe inventory. Since I have purchased some new ones since my last count. I have also gotten rid of some shoes that I don't wear or like anymore. Plus I got rid of some because they were either worn out or damaged over time. So here is my counts. That is a grand total of 81 pairs! I guess you could say I have an addiction. Guilty as charged! And some would call me a "Shoe Whore"! It's been a while since I have posted, so here goes! As I was going through my shoe inventory the other night I realized I had a pair of boots that I hadn't worn out yet. And since I had some things to do tonight, It was meant to be! The outing was short and sweet and went off without a hitch. So i will get right to the heart of it. The boots are Just Fab. 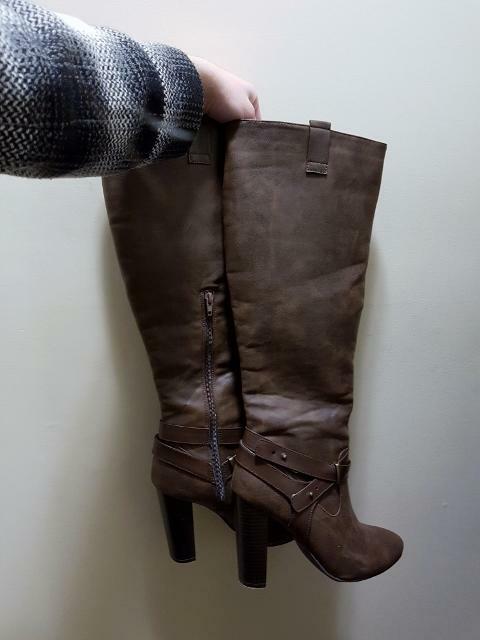 They are chocolate brown in colour and have a 4 inch chunkier block heel. They look really sharp! The pictures don't do them justice. I bought them second hand but you wouldn't know it. They are in mint shape! And know for the completed look. Very sharp, Mr. X! Those boots look awesome! Great looking boots @Mr. X - they look great on you, and the rest of the outfit. The 'chunkiness' is enhanced by that chain bling and buckle... am sure they make a nice noise as you walk down the road. And that look fab with the leggings! I guess you have a bit more than me, my last count was a few months ago. I think I've got about 60 now, but that's not including any flats. However, I am perplexed by your category of "high heels," which appears to be a completely distinct and separate category from the other four. Wouldn't "wedges" be a subset of "high heels?" Are all of your ankle boots and knee boots flat-heeled? Yes, I am picking on you a little bit, but I think you can take it. Inquiring minds want to know! What, exactly, do you mean when you say "high heels?" What, exactly, do you mean when you say "high heels?" I know they are all technically high heels. By that I mean just shoes though. Like pumps and heeled sandals and the like. I estimate I have around 160-175 pairs. WOW. It hard for me to find the time to wear each pf my shoes as much as I want to and I only have around 60, not counting my sandals and running shoes or my hiking boots. I haven't bought or worn men's shoes in almost a decade. 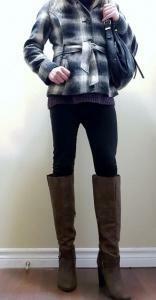 Here is my latest outfit which I used on a short and uneventful outing. Pretty cool outfit there, Mr. X. I must say my eye was attracted more to the purple handbag than the boots! I like the outfit overall, but there is just one thing I can't quite get over. Those boots, at least as presented in this picture, are just too big around for your legs, giving a somewhat clunky look. Plus, you're gonna get rocks down your boots every five minutes as you walk! I'd try a different pair of shoes. I had the same thought. Love the style and the heel, but top is too loose. Thanks buddy! It is quickly becoming one of my favorite handbags! Rocks eh? I hadn't thought of that. Why not take them to a shoe cobbler and have them cut to fit your calf size. That will make them look much better on your legs. I bought a pair of dark red suede boots on clearance from Easy Spirit, supposedly regular calf size, but my legs were drowned in the boot calf size. It measured 18", which is a wide calf. I think Easy Spirit was trying to dump them off. 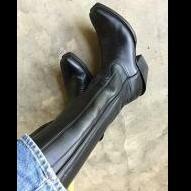 I only paid $29.99 for them but was charged $65.00 to size them to a 15"calf size, at the shoe repair shop. Now they fit fine and look great on me. It was an expensive fix, but I liked the color and the style of the boots. It's outing time again! The weather was quite nice tonight. And I had some recent purchases I wanted to try out. So it was a perfect time for an outing. The outing itself was short sweet, and uneventful. So lets get right to it! Very snazzy there, Mr. X! You nailed it with that outfit! I could make something like that work (even though I don't have a purple handbag), but it's still too chilly here to go without tights. Well done, my friend! Thank you! We are still hitting below freezing overnight here too. But the daytime has been plenty warm lately. Thanks Jeff! 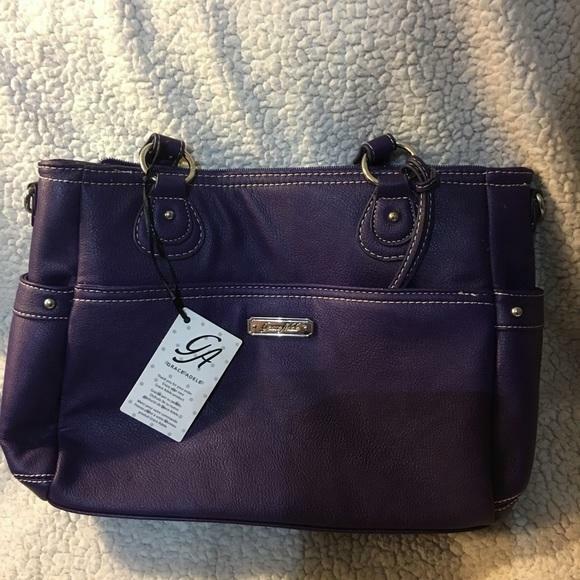 My purple handbag is quickly becoming one of my favorites. I have used it on many an outing lately. @Mr. X - well done on a great looking outfit. Dress is cute and the boots are great, and you certainly have the legs for them both!